Clearly it's helped companies expand their marketing bandwidth. But what about bottom-line results? That's the one aspect of social media that doesn't seem to be getting as much attention, at least not in our industry. I think I know why. For one thing, most A/E firms have never been inclined to measure marketing results. The reason I hear most often is the difficulty in linking marketing activities with tangible outcomes. No doubt that can present some challenges, but low expectations probably also come into play. If firms don't expect tangible outcomes from marketing, why bother trying to measure them? In that sense, social media is much like trade shows 15-20 years ago. We set up our exhibit booth and waited expectantly as hundreds strolled past. Several, in fact, stopped to talk with us. We left enthused because we had engaged in more conversations with potential clients in two days than two months of sales calls could have produced. But the shortcomings with trade shows were much the same as they are with social media today. You see, most firms failed to do the hard work to turn those conversations into sales. And most firms still fail to do the hard work to make social media actually generate new business. But enthusiasm will run high, at least for a while, because of all the connections (the modern substitute for conversations) being made. According to a recent study by Hinge, A/E/C firms generate only 8.3% of their sales leads online, the lowest percentage among the professional service sectors they surveyed. Ironically, our industry is second only to technology services firms in recruiting new employees online. So it's not that we don't know how to use the internet to promote our firms. We just don't seem to be using it effectively for marketing our services, and social media constitute the largest share of our online marketing activity. So what's missing? You need good content to drive social media marketing. Not long ago, content marketing became the rage among professional service firms. Except in the A/E business, where most firms generate little in the way of articles, white papers, webinars, videos, podcasts, etc. Why did we bypass the last wave—the efficacy of which is better demonstrated in the research—only to jump enthusiastically into social media? A study by Business.com looked at business usage of social media and confirmed that content is still king. The most common business uses for social media were: attending webinars, listening to podcasts, reading user ratings and reviews, subscribing to feeds from business information and news sites, reading articles and blog posts, and searching for business information. With so many firms staking a claim on social networking sites, the question you should ask is: Why should folks pay attention to us? It's obvious that good content is the key. It doesn't necessarily have to be your own (although I strongly recommend creating some of your own content). You can link to others' content if your cupboard is bare. But that still takes time finding it, which leads to the next point. You need to commit the necessary time and resources to get consistent results. A little more marketing is certainly better than a little less. So if you find social media a convenient and efficient way to broaden your marketing reach a little bit, so be it. But if you want to have some real impact, it's going to require some substantial effort. Is it worth it? A study by the Social Media Examiner found that 59% of marketers spent six hours or more per week on social media. But it was the 15% who spent more than 20 hours who saw significant improvement in sales directly attributable to social media use. In our business, however, the bigger question is how much time you invest in creating good content that can be shared through social media. I confess to being only a casual user of social media (oops, there goes my credibility). But I produce significantly more content than most of my A/E firm clients. That can make even my modest time on social media pay off. For example, I recently wrote a blog post on "Common Strategic Planning Mistakes" which I tweeted about on Twitter. That got picked up by others who collectively have tens of thousands of followers. Within a few days, the Twitter buzz had driven almost 7,000 people to my post, generated a few email conversations, and appears to have resulted in a new client outside our industry. Some people (and a few companies) attract a following through social media because of their celebrity. You and I have to earn their attention. So what's your plan? Dabble or dunk? Make sure you align your level of activity with your expectations. Social media isn't an excuse to cut corners; like any good marketing, it requires a commitment of time and resources. You should have specific objectives in mind. Marketing needs to be more than enriching the atmosphere with positive vibes about your firm. It should deliver tangible, measurable results. The truest test that marketing is working is when clients are contacting you in response. So surely you should be tracking who contacts you through your social media marketing efforts. Even better, how many sales does it lead to? Obviously, your objectives and level of effort go hand in hand. That's why it's important to weigh both together. Many firms have dived into social media without clear objectives in mind. So how do they measure whether it's working? You need to determine if you're reaching prospective clients, specifically decision makers. You can certainly raise your firm's visibility with social media, but are you reaching the right audience? Are you getting to client decision makers? Until recently, the answer seemed to be generally no. But evidence suggests that this is changing as more people—including business executives—are using social media. One study found that 60% of B2B decision makers use social media, compared to only 50% for the average internet user. Does that include decision makers in our business? Well, the Hinge study found that A/E/C marketers ranked social media among their best tactics for generating sales leads online. So they must be reaching the right audience at least some of the time. Of course, there's value in connecting with people who might not be making buying decisions, but can influence those decisions—or at least connect you to decision makers. The new clients I've generated through online marketing often have resulted from someone further down in the organization recommending me to his or her boss. Besides more decision makers using social media, another positive trend is the decline of companies blocking access to it. When I first wrote on the topic in 2010, over half of companies blocked access because of security and productivity concerns. But a recent study projected that the number will be below 30% by 2014. 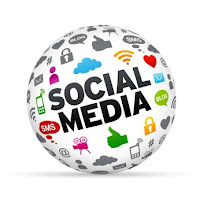 These are some of the requisites for success in social media marketing. Which of these is your firm doing? The average A/E firm is more likely to have a social media policy than a social media strategy. But that hasn't quelled the hype about it. Perhaps it's time to convert some of that enthusiasm into measurable results. The potential is there if you're ready to make the commitment.